1. 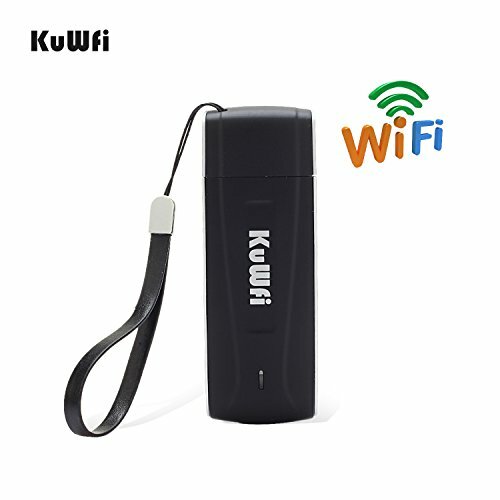 4GUF907 is not only a modem or a router, it is a real UFI, You can use it in cars via standard usb port, and outside with powerbank via standard usb port. 2. Wireless access is available on both 3G&4G network and Wi-Fi networks. 3. Internet connection sharing, up to 8-10users can access the Wi-Fi network at the same time. 1. please check the frequancy of the sim card Compared with our goods,if you do not know the frequncy please check frequncy band learn it : https://en.wikipedia.org/wiki/List_of_LTE_networks. 4.the router work with 4G AT&T network Network band ,some ONE test it by AT&T sim card 4G . it can work . but if SOME areas, with poor signal coverage leads to can not search internet. even if support AT&T SIM CARD , but if use the router first time , it should be log in web GUi to revise APN . 5. the router support any device with wifi functions, but if want to intall software work as modem just for windows . 6. the router not Support T Moblie in US. Internet connection sharing, up to 8-10 users can access the Wi-Fi network at the same time. no need install software (WiFi Mode), it can charger by computer USB port/ Power Bank / Car USB charger/Power supply,the USB router support any device with wifi functions, but if want to install software work as modem just for windows .but we had test not all AT&T SIM card support,please confirm your AT&T sim card with B5 Frequency band with your place cover B5 network signal before order KuWFi 4G .